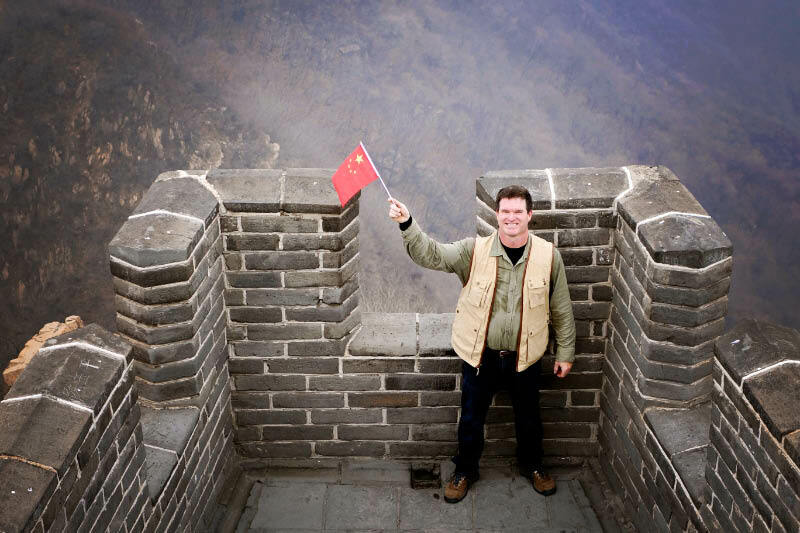 Heroes of the Great Wall – China’s label for us, not our own! Finding our Chinese tour guide Allen upon coming down off the Wall, I corner him with a dose of ornery attitude and personal-space invading sassy body language. “Allen, you can’t see Tower 13 from here, can you,” I emphatically inquire, hoping that my accusatory tone was coming through loud and clear. “No-no-no, of course not,” came his dismissive reply slathered in an overly coy smile. “It is much higher and much deeper into the pass than that up there,” he continued, pointing to the highest tower visible from our base camp of sorts. We were almost the last down the wall well past the given meeting time for our tour group. 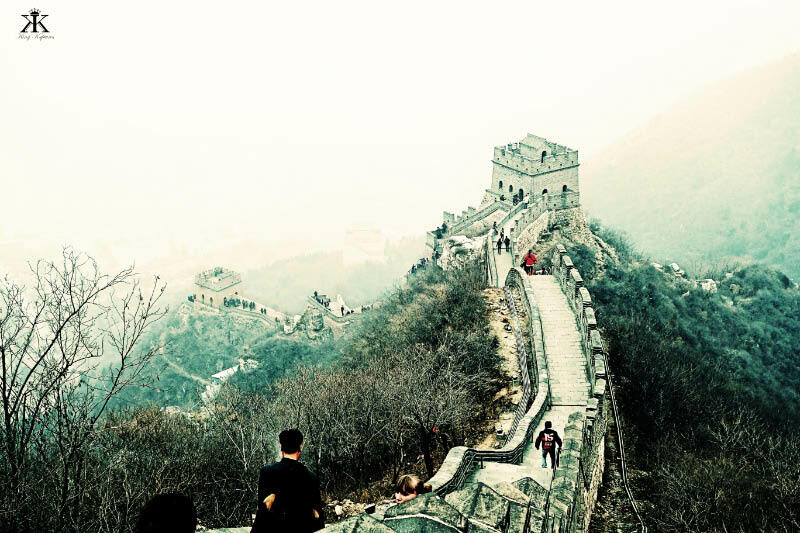 Having been filled with wall-scaling propaganda on the hour-long journey, filled with Mao quotes and talk of the herculean efforts in becoming a hero of the Great Wall, we were thoroughly indoctrinated upon our arrival and were fixated on summiting the pass “Tower 13” at all costs. We did. But boy-oh-boy what a climb! 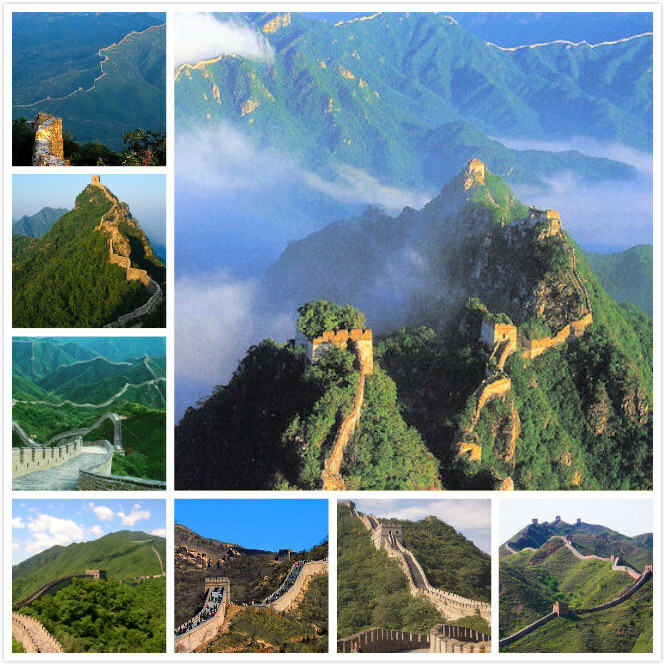 Known in Mandarin as chang cheng, literally “long fortress,” the Great Wall of China dates back as far as the 5th century BCE. 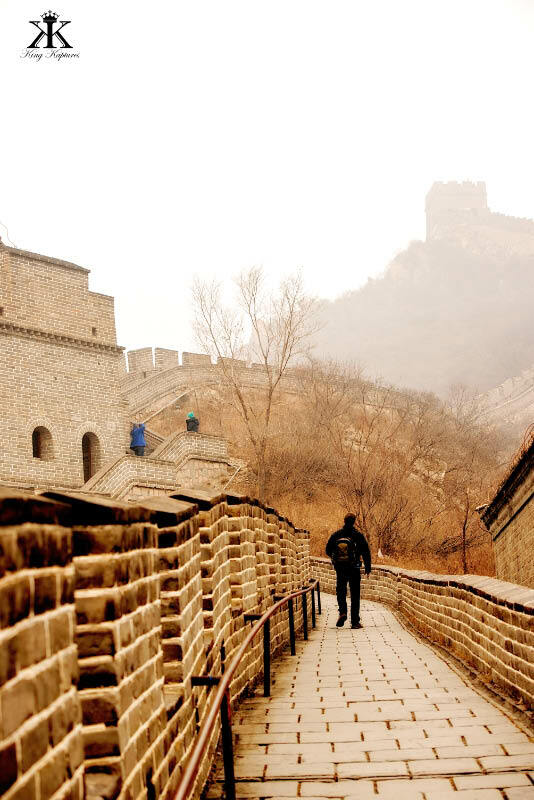 Several sections of the Great Wall are located within close proximity to Beijing, so trekking small portions of the long fortress is not difficult, logistically speaking at least. 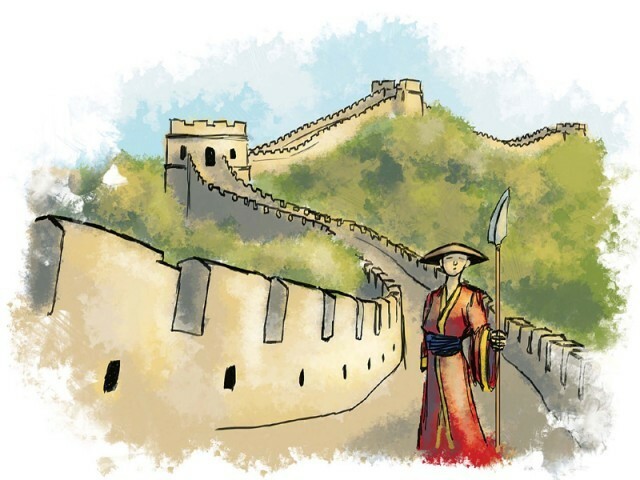 The Great Wall of China is a series of fortifications made of stone, brick, tamped earth, wood, and other materials, generally built along an east-to-west arc that very roughly delineates the southern edge of Mongolia, equating to the historical northern borders of China. It was envisioned as protection against nomadic intrusions and full-scale military incursions by various warlike peoples from the north. 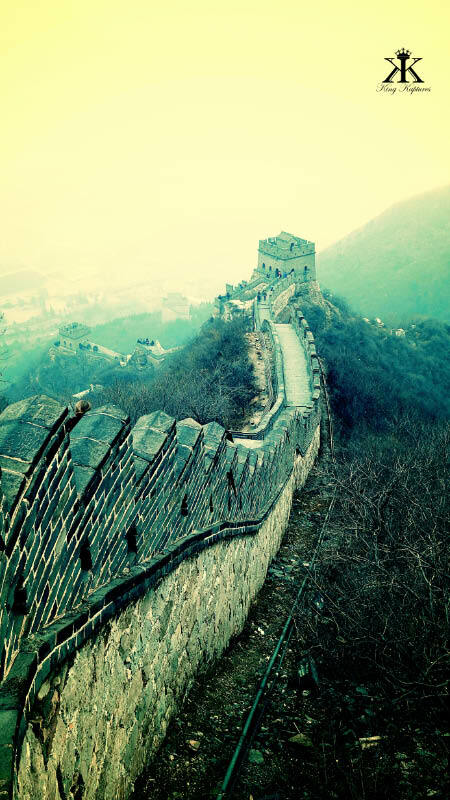 Several permanent walls were being built as early as the 7th century BCE, but most were later joined and strengthened by the 14th century resulting in what we see today. 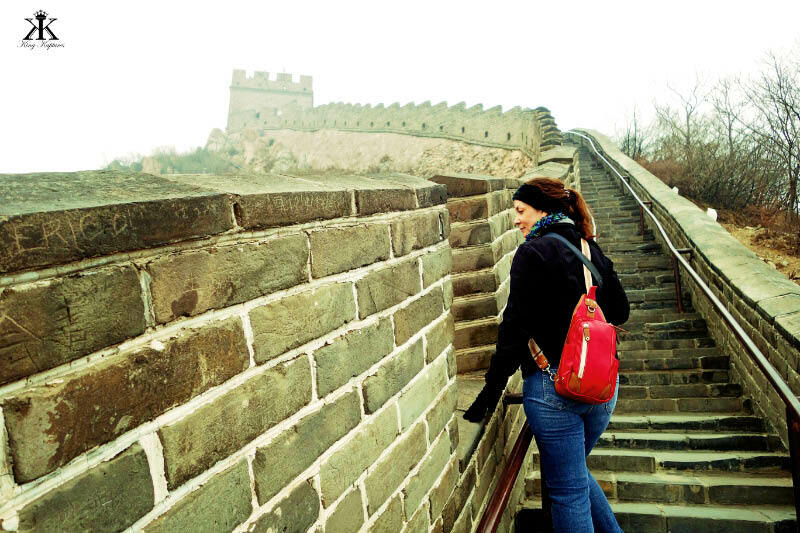 Most of the existing wall dates from the Ming Dynasty in China (14th-17th centuries). Upon our arrival at the Great Wall, where we were one of the early buses for the day, we had to, of course, walk through a wholly atypical capitalistic Chinese “ancient village” where every vestige of originality has been removed and replaced with perfect, cartoonish copies Disney-style, and where any and all structures house souvenir shops. The weather, well, was not what we wanted: cold temperatures and a forlorn hazy overcast which we were repeatedly told was fog. 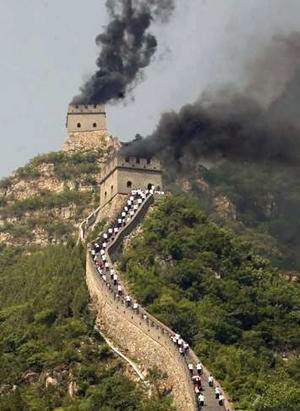 “Fog” in China is more than synonymous with “smog;” it’s actually PC-speak for downright pollution! Unfortunately the weather was to shed all of our views that day, and result in the somewhat bleak set of pictures found here. “Allen.” Not his real name. Allen, our tour guide, casually briefed us at a map of the Wall. Pointing out our goal – “Tower 13” – he casually waved his hand at the top of the ridgeline above where we could see a tower. “That’s not too bad,” I optimistically thought to myself. I remember thinking it didn’t seem to be that much of a climb. But then again we were only given about two hours to make our trek. Well maybe he was point to Tower 13…. My first clue of what lay ahead? 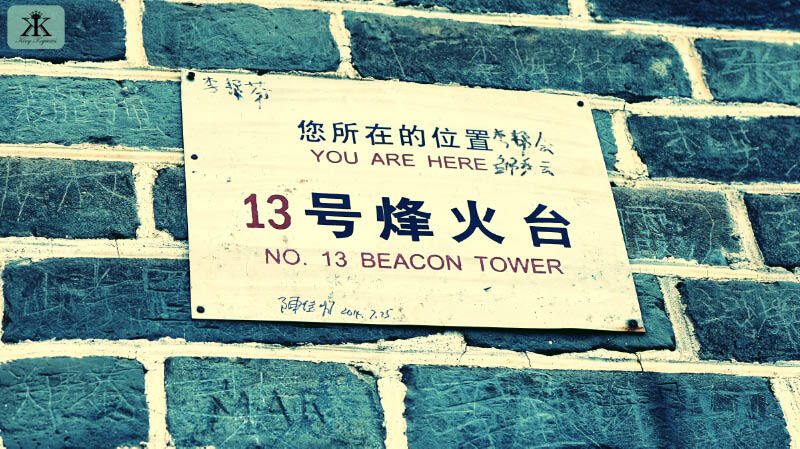 “Tower 13.” Ah, of course, it’s has to be unlucky 13. Only in Italy does it seem that the number 13 is considered anything but wickedly sinister. 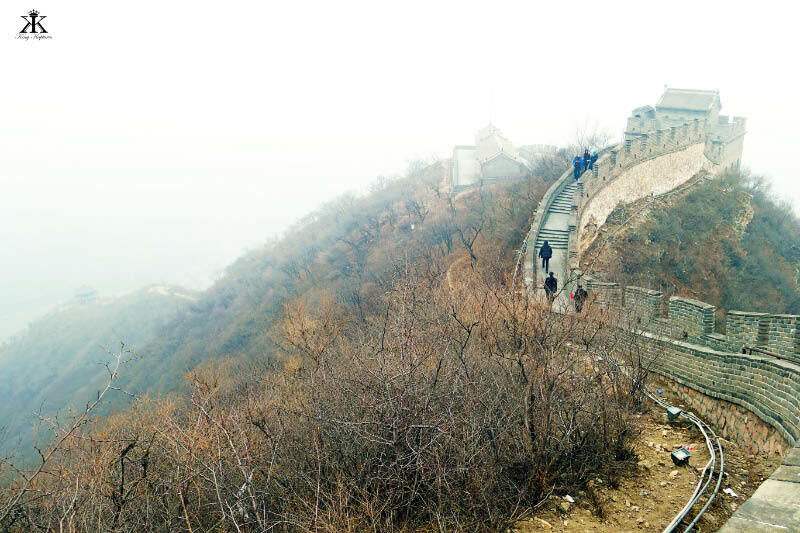 Due out limited time, our tour took us to Juyongguan Pass. Also written as Juyong Pass (居庸关 or 居庸關), this 11 mile long valley through a ridge of mountains lies just 31 miles outside of central Beijing. 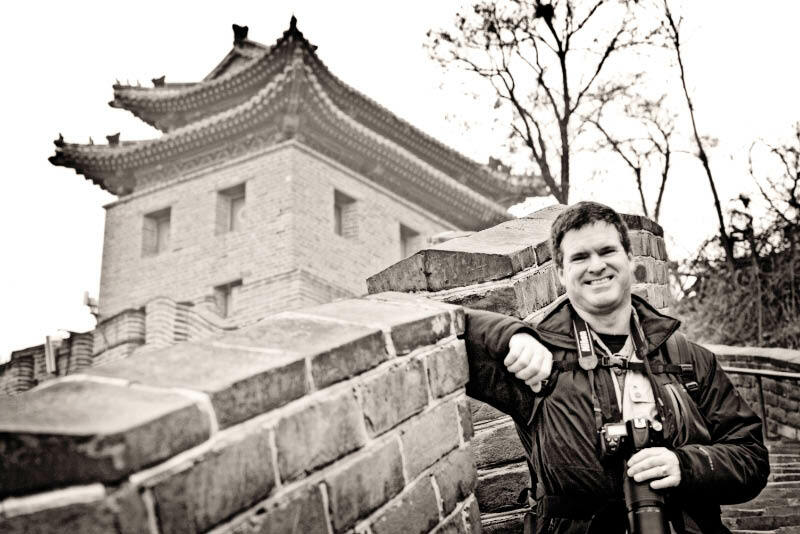 Here a large portion of The Great Wall of China passes through and has been fully restored. 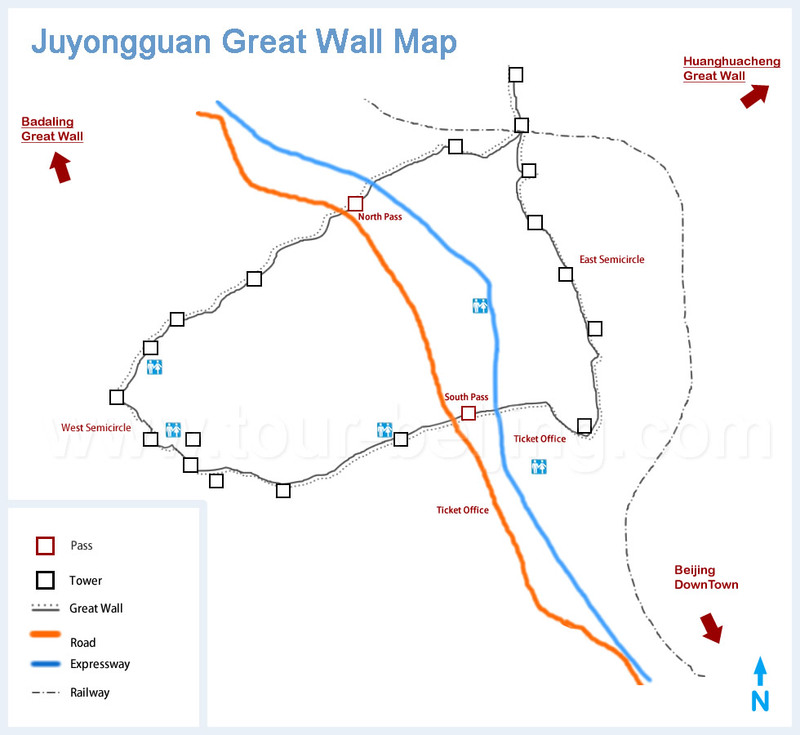 Juyongguan historically is one of the three greatest mountain passes of the Great Wall of China. 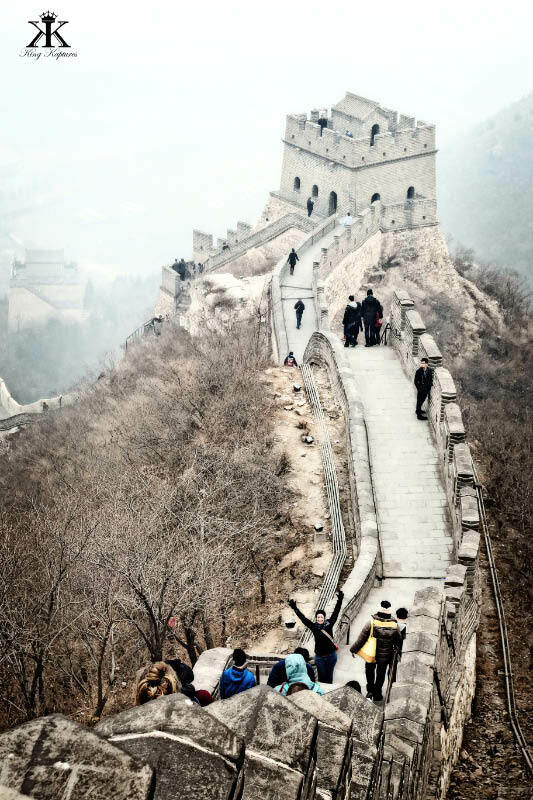 It includes two sub-passes, one at the valley’s south (“Nan”) and the other at the north (“Badaling”). 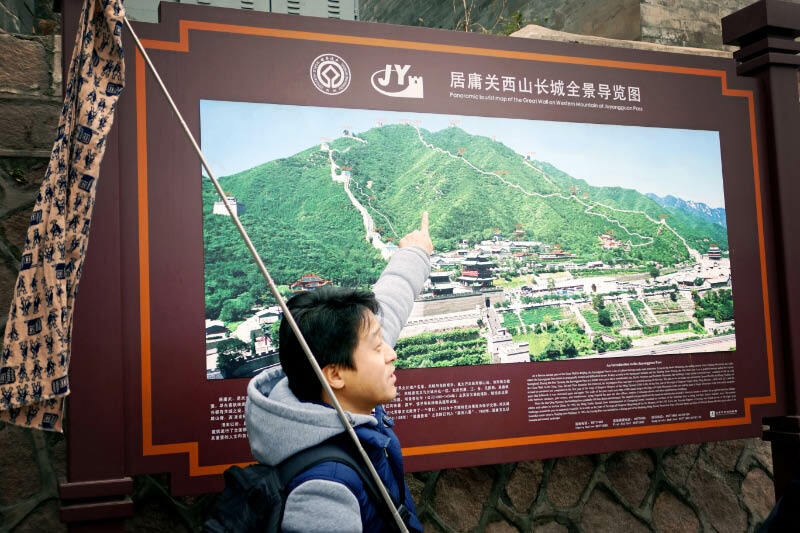 Although fortifications here date much earlier, the pass we see today is the site that was built in the 14th century under the supervision of Xu Da, a general of Zhu Yuanzhang, the First Emperor of the Ming Dynasty. It served as the northwestern gate of ancient Beijing City, and most certainly an important defensive ring for empire’s capital. 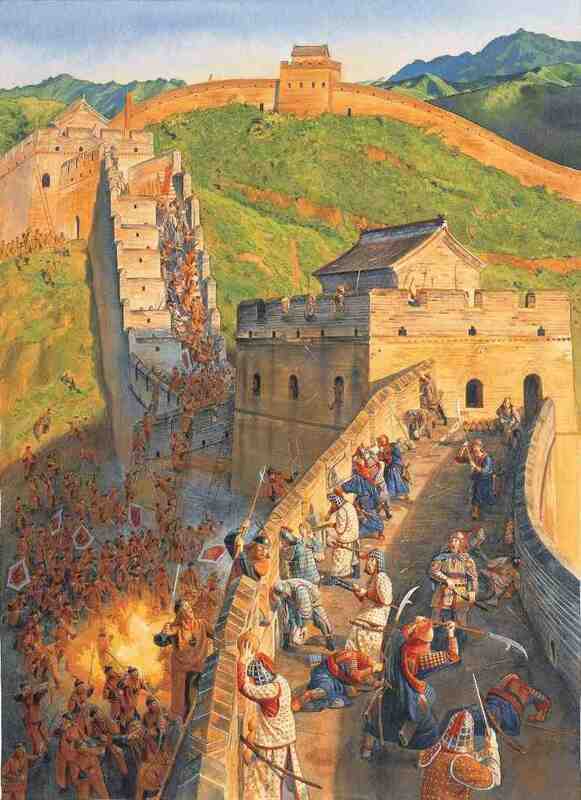 However, like any good massive public undertaking, there were other uses for the wall as well. 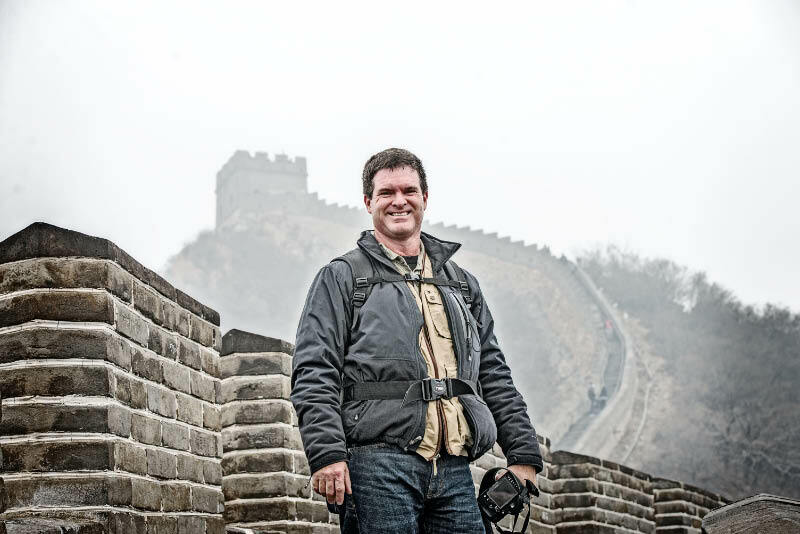 The tax man loved the barrier it proved, using it to place duties on goods traveling the historic Silk Road. Oh, and it was an effective barrier to both illegal immigration, and at times undesirable emigration. Makes one think it might be a good idea to have a “Great Wall of American.” And it wouldn’t be along our Canadian border…. 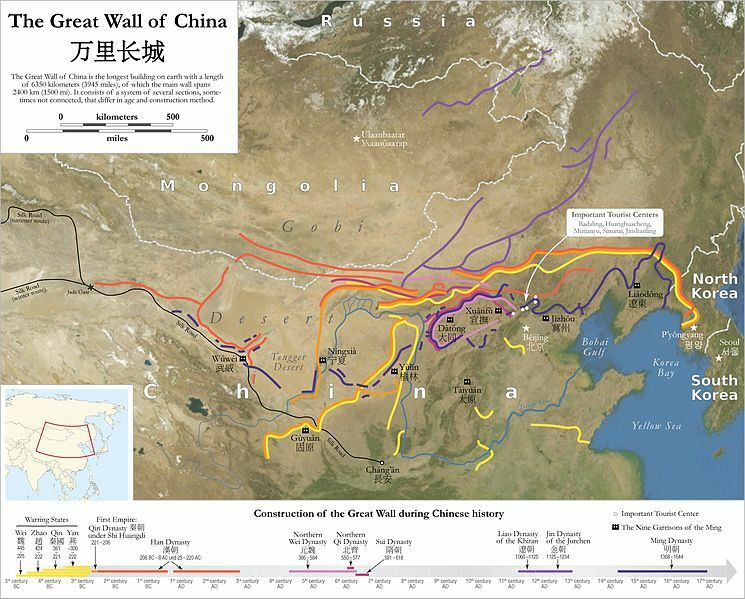 There is debate about the actual linear measure of the wall, since it includes many branches, trenches, and other natural barriers, but the measure lies somewhere between 8,850 km (5,500 mi) and 21,196 km (13,171 mi). Even at the low-end of the measures, it’s still over twice as far as the Miami to Seattle drive I’ve done…four times…which takes a minimum of 4 “reasonable” days averaging 60 mph for 12 hours per! 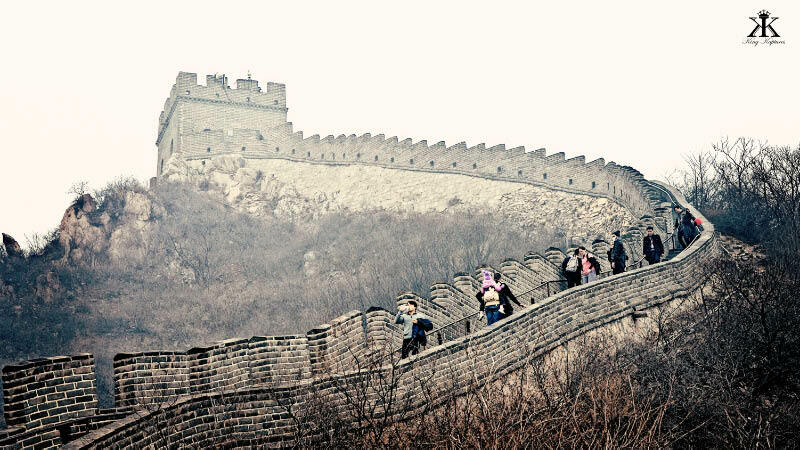 The cliché goes that “many hands make light work.” Although it’s tempting to take the original length of the Great Wall (say 3,100 miles), assume that it was built over 10 years by over 1,000,000 unlucky souls, and run the math to figure that each worker was “only” responsible for about 1.65 feet of wall per year. of MASSIVE wall running across IMPOSSIBLE terrain. Which includes everything needed to complete that 1.65 feet: quarrying, transporting, cutting, lifting, fitting, tamping, and finishing. No, any way you slice this construction project, it was hell to be in its employ. 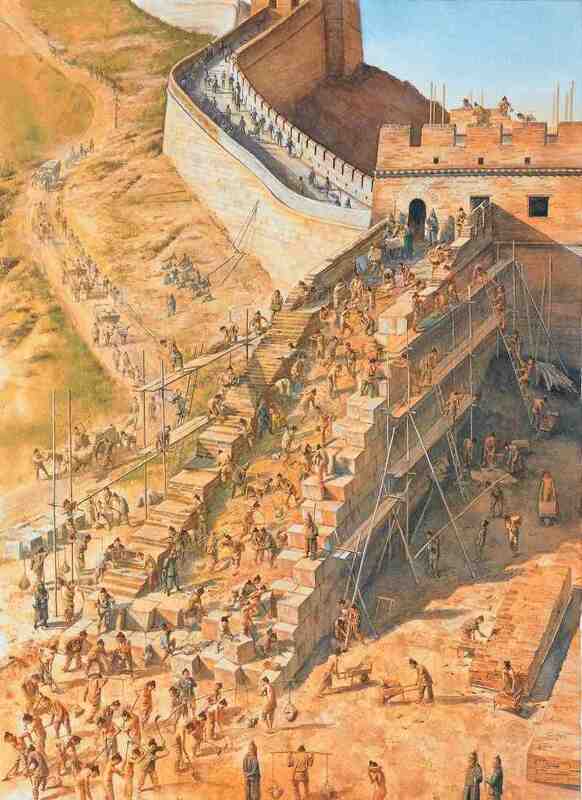 In actuality, if we take that 1.65 linear feet and multiply that by the average height of the Ming wall of 33 feet, and then multiply that by the average width of about 15 feet, converting to cubic yards we find that each poor soul was actually responsible for almost 30 cubic yards of construction. To put this in better perspective, realize that a full-sized cement truck carries only 8 cubic yards of mix; standard dump trucks carry between 5 and 10 cubic yards of earth. Oh, and the Empire paid you only in food…. In actuality, the network of smaller projects was built well over the course of 2,000 years, or 100 generations, and most likely involved many millions of people. Yes, we dressed appropriately for the weather, forecast to only be in the 40s that day. And luckily we were forewarned to dress in layers. It may seem chilly at first on the Wall (and it is when that dry wind blows right through you), but I guarantee you’ll be breaking a sweat once you reach the second beacon tower along your journey. What we lacked, and could have used, was some water! It’s not like climbing Mount Fuji, but it’s much more of a climb than you think. And although it’s also been referred to as the “longest cemetery on earth,” confirmations of mass graves or deaths on the wall are hard to come by online. I have, although, seen estimates that put the death toll of construction at over 300,000, but I cannot find one credible instance online that states people were actually buried in the wall. Our tour guide claimed that during restoration of the pass we enjoyed over 5,000 sets of human remains were found in the vicinity. Progress on the climb is measured by Watch or Beacon Towers: each is numbered. Although without a portable map, and thinking that the visible tower on top of the ridge was our goal, I didn’t pay much attention to the tower numbering when we first set out. I believe we started at Tower 6…. The visible one I mistook for 13 was actually only tower…EIGHT!! 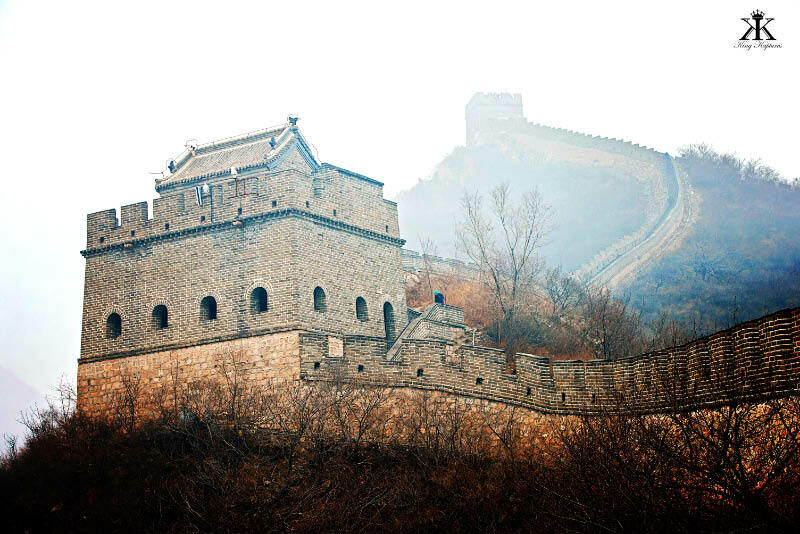 The Ming watchtowers were critical components of the Great Wall. Used primarily for observation, they are also called “Beacon Towers,” where their elevated roofs served as platforms for signaling. In fact, it seems that each beacon tower had a ready bunker of firewood, hay and sulphur for making quick, bright and smoky fires. 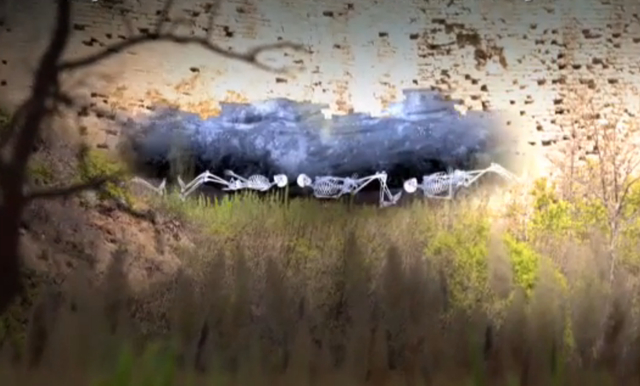 Built no more than twice an arrow’s flight (about 100 yards) apart, the towers provided full defensive coverage; the more elaborate towers stood over 40 feet tall and offered unobstructed views and fields of fire. Observation posts were located on the top floor of the tower; lower floors were used to store supplies and equipment and house soldiers. Of course there are the ubiquitous cameras on each of the “watch” towers; c’mon, what else would you expect to be going on there! Security cameras are literally everywhere in modern China, and lends credence to the premise of the show Person of Interest. 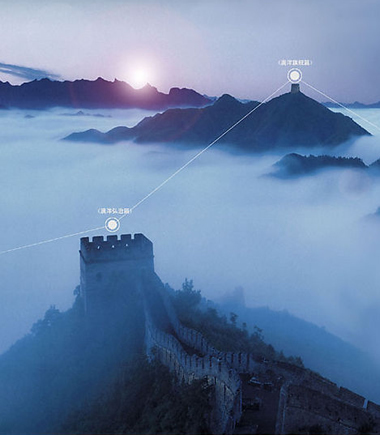 If a machine is tracking your every move, you are most certainly in China. Are you being watched? Yes. In streets, classrooms, stores, mass transit and tourist destinations. Everywhere. 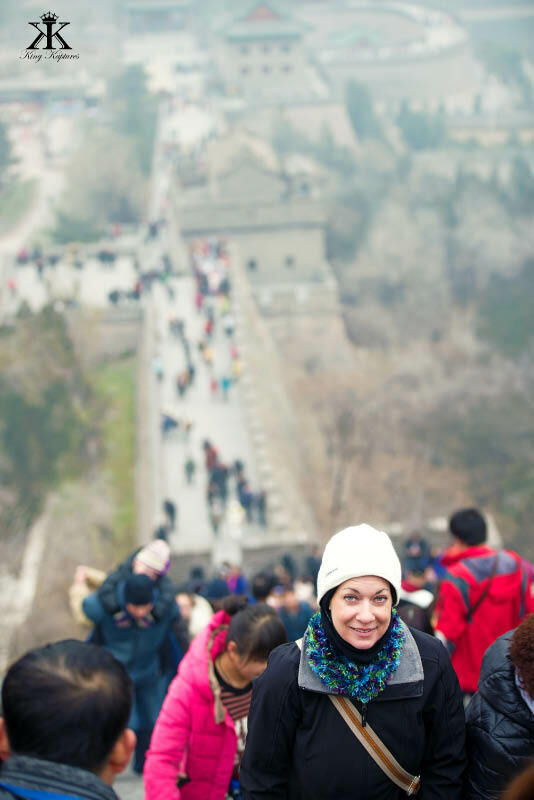 If you want to visit China, get used to it. We press on with our climb. 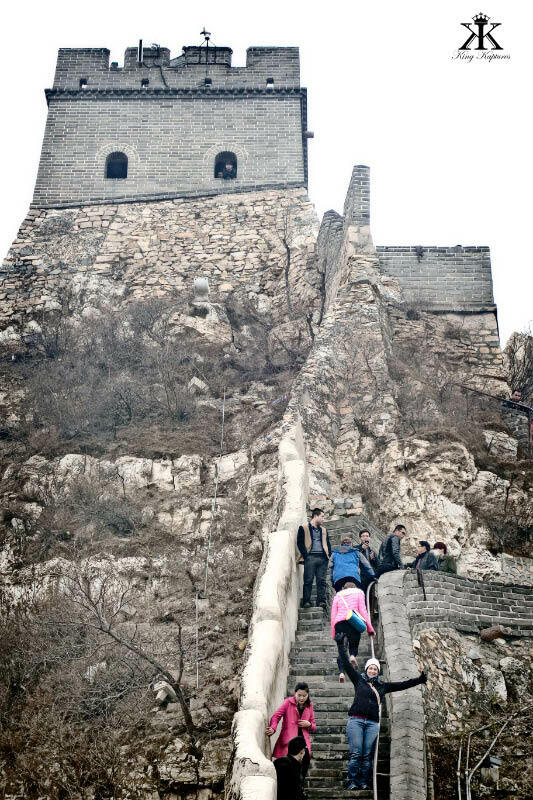 And make no mistake: trekking this section of the Great Wall is a climb. Like setting the stair-stepper at the gym on the hardest setting and then going for a full 60 minute workout! For the love of god, watch your step! When wet, the stone pathways and stairs are super slick; even when dry and on restored stairs, the footing can be questionable. The steps are never the same height two stairs in a row (modern building code is a wonderful thing), and some are so steep and high that it becomes more like scaling a ladder than even climbing steep stairs. 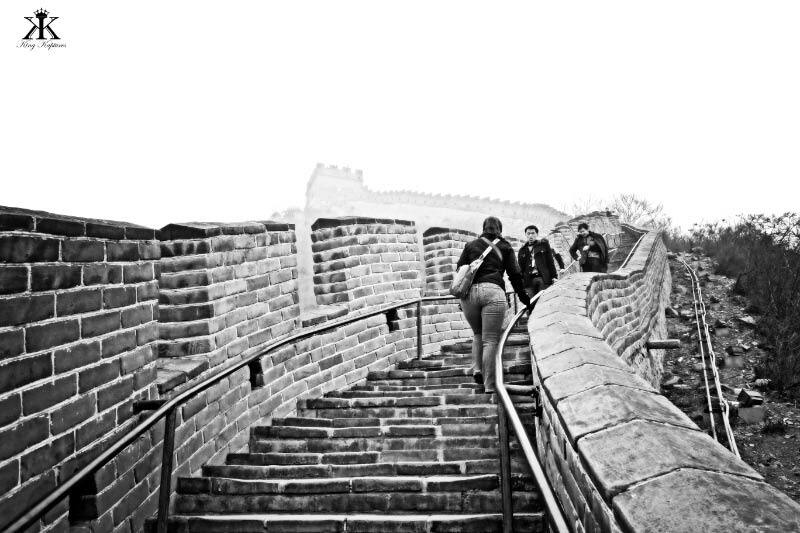 Steps higher than their width are not uncommon. It’s not until you turn around and look back at the rising, snaking path that you really appreciate the steepness of those steps. It’s hard to find firm information on the vertical ascent to tower 13. At the low-end it seems to be about 630 meters, or about 2,100 feet. At the high-end, the round number 3,000 feet is often quote. My own estimates on the wall, using my trained skydiver and pilot’s eye, was about (but not quite) 3 grand. Battlements are obvious all along the wall. Naturally, the crenellations (and holes for firing) faced the enemy, but drainage is all to the Empire’s side, helping to prevent vegetation which could provide concealment to an enemy. At one point I mentioned to Jody about how low the Wall was in one section. 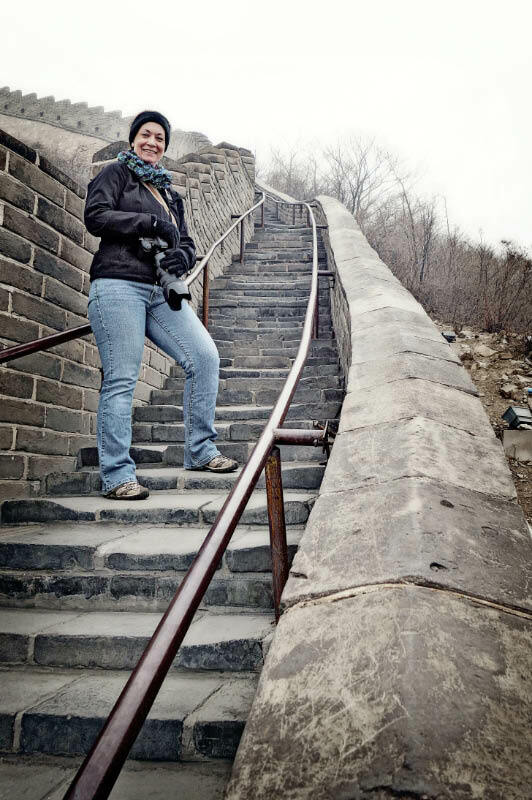 I didn’t realize I was looking onto the “friendly” side; Jody motioned me to the opposite wall where the wall connected to the crest of the ridge, which dropped precipitously a few hundred feet. 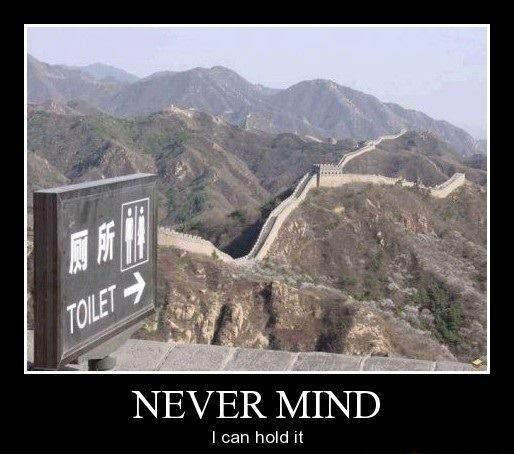 There are not many facilities along the way…. 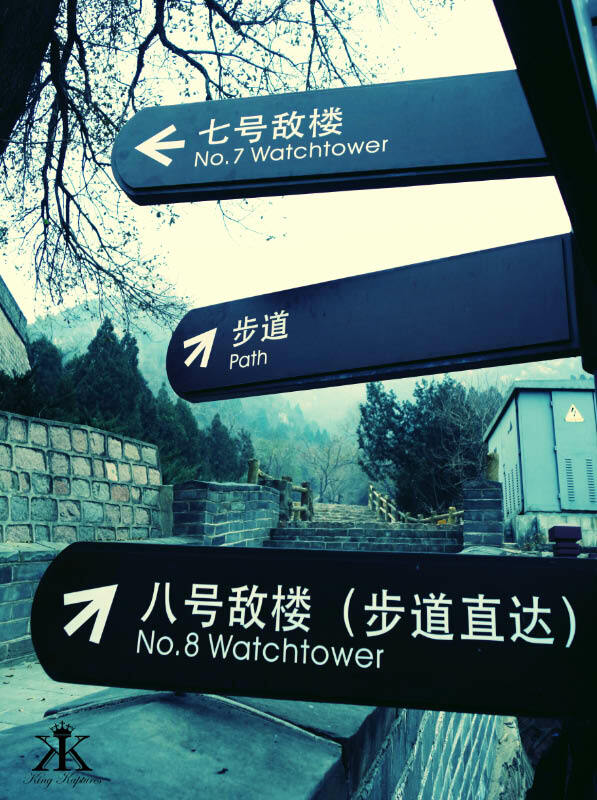 Once we realized the tower numbering system, we knew a bit more what we were in for. 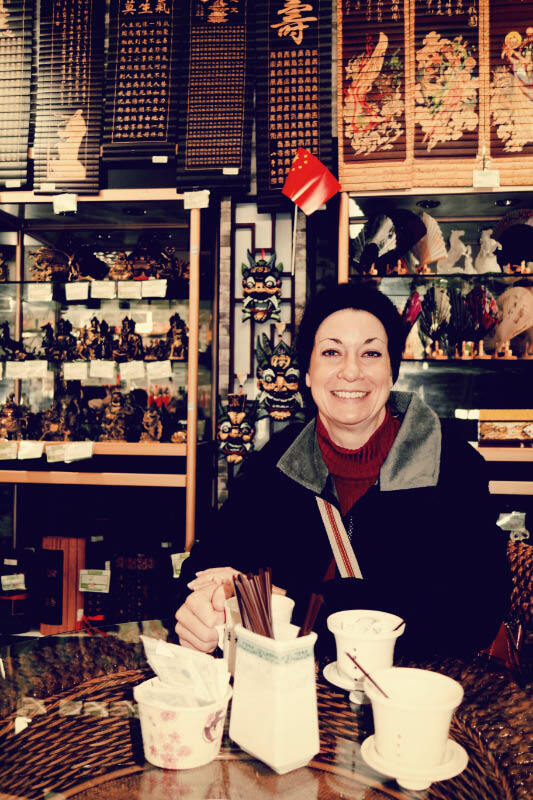 There was no turning back; climbing ahead of us was an older Marine Colonel Nancy who moved out like this was something she did everyday back on Okinawa. Climbing with us was a Marine Major, who you expect to be in good shape, but who was hauling up his 4-year-old daughter on his back, back-pack style! And behind them was a pregnant woman. We all made it up, but only after reaching a point where the pathway actually descended for a couple of hundred yards, before a steep final push to Tower 13. 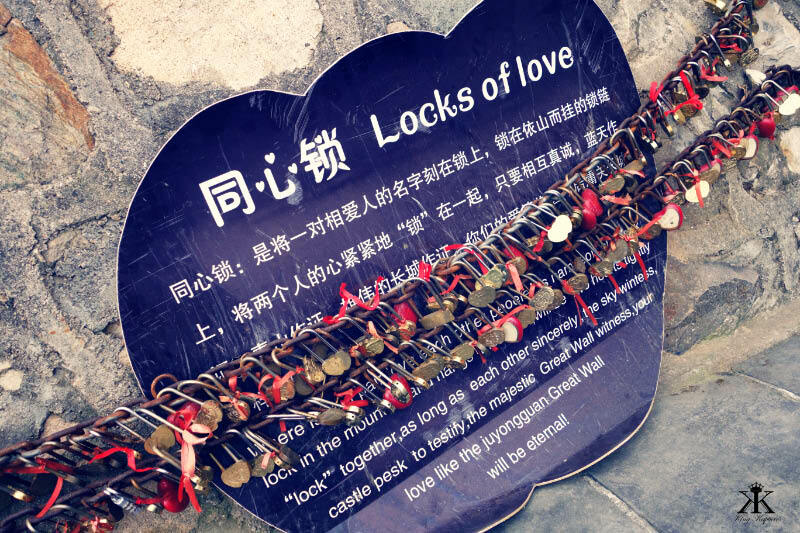 Along the way we noticed locks attacked to various points along the wall. 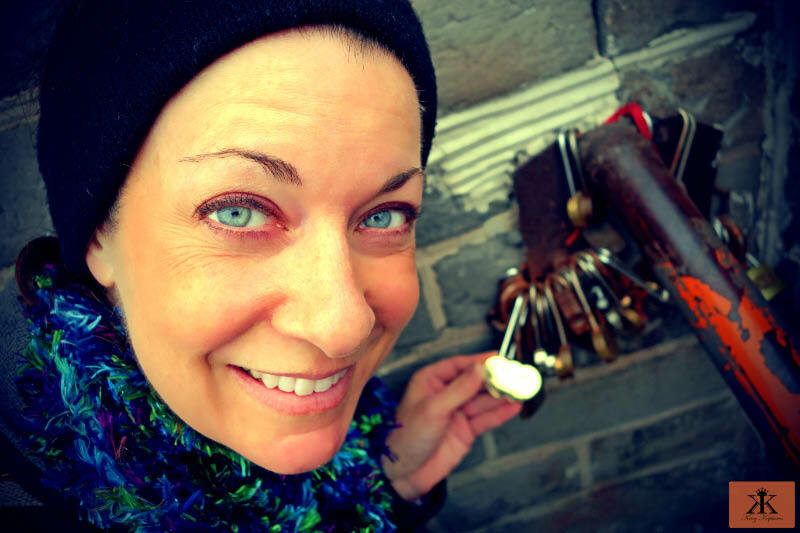 Jody and I had seen this idea of “Love Locks” in our other worldly travels. Sad that we most likely missed our opportunity to pick one up at the base of the wall, we both longingly looked at this missed opportunity. Thankfully, up at Tower 10 or so, the locks were being sold! 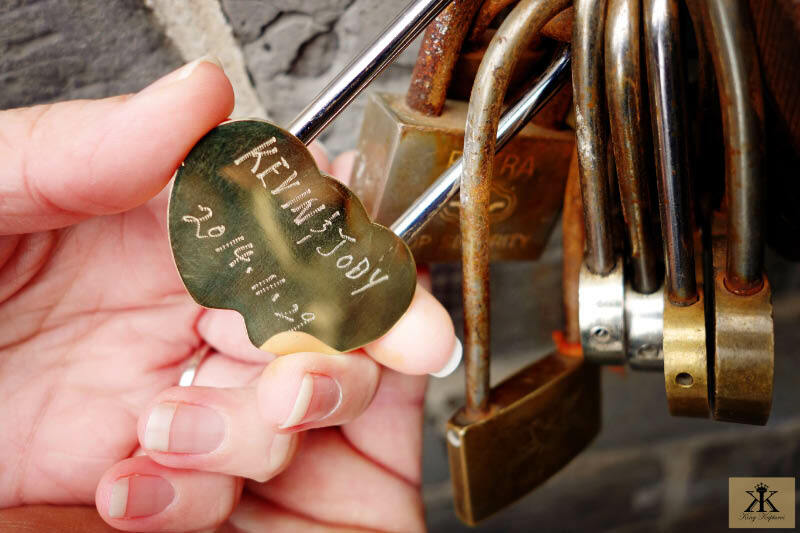 Writing down our names and date, the Chinese gent immediately engraved our Lock of Love, and off we went in search of “the spot” to leave our romantic impact on China. We found it in the vicinity of Tower 13. 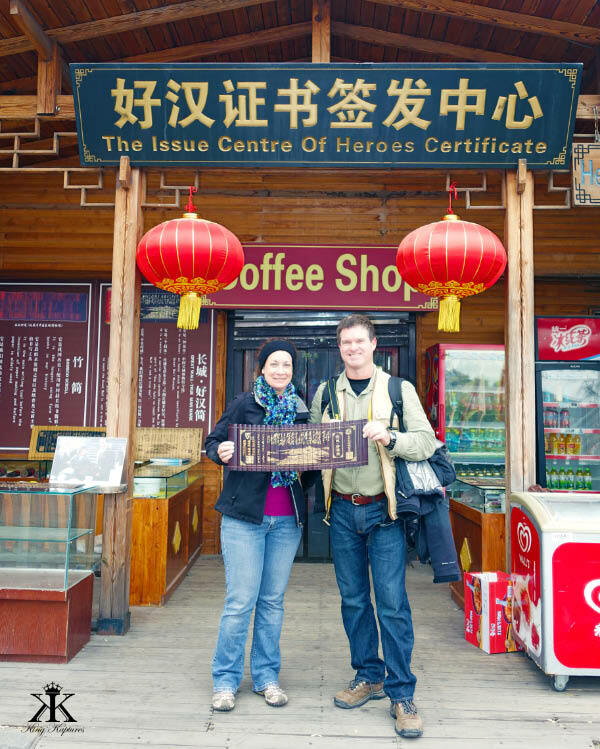 Finally, retracing our steps back down – there is not cable car or slide down at this spot on the wall – we decided to have a nice hot tea while waiting for our “Heroes of the Great Wall” certificate to be finished. We all were led to believe, again, by propaganda – or maybe just a really bad assumption – that we needed some type of stamp or document from Tower 13 to be a “hero.” This is not the case! Even so, for our own proof, we took a photo of the placard at the top tower in the pass. Celebrating becoming a Chinese Hero at Tower 13! 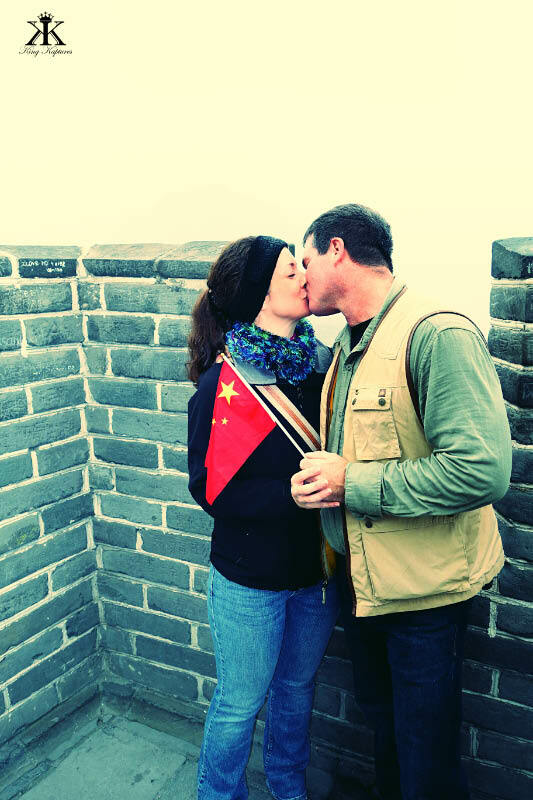 Jody and I reached the Great Wall, and affirmed the true and heroic nature of not just this wonder of the world, but of the true and heroic nature of mankind in the world. 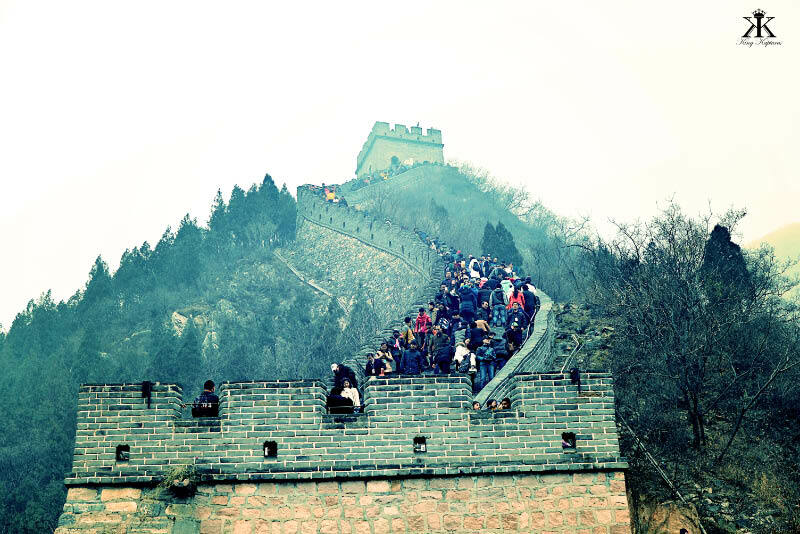 Come to the Great Wall and set your own goal. 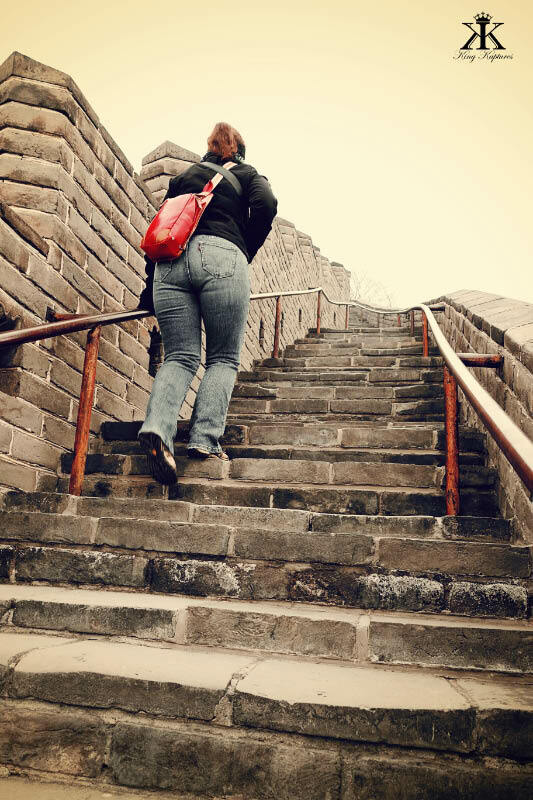 No matter where you trek or how high you ascend, the Wall will leave on your soul the indelible mark of greatness. 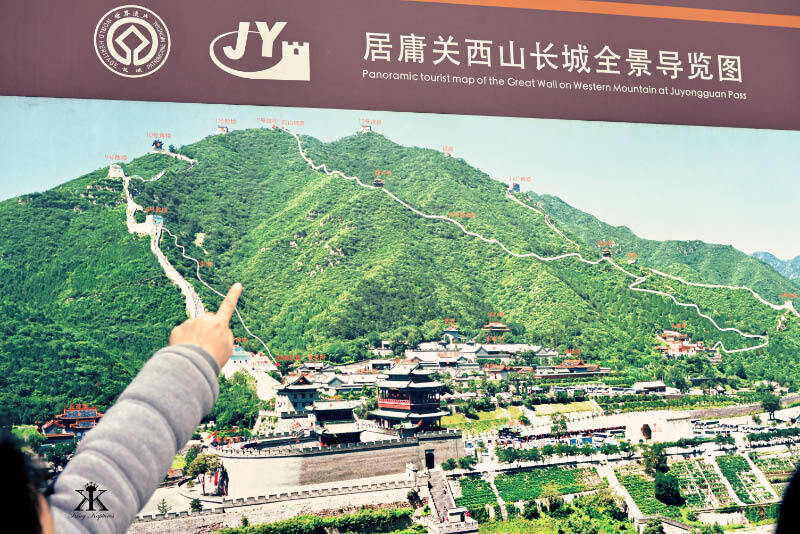 Just remember, like mounting Tower 13 of the Great Wall at Juyongguan Pass, most worthy goals involve an unexpected and challenging journey, one not visible at the outset. 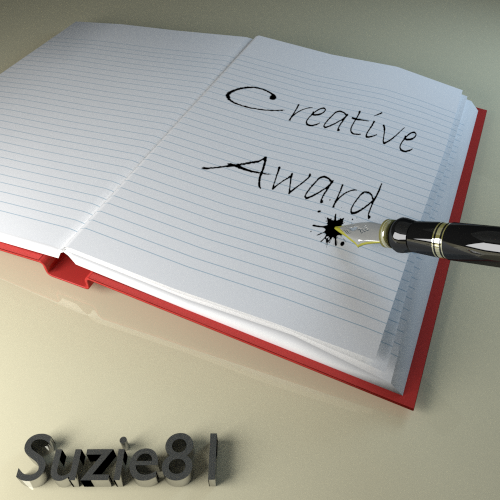 Persevere, and you too can become a Hero in your own right. For more photos of our Far Eastern Flings among the Great Wall of China, see my Flickr Album The Great Wall of China at Juyongguan Pass. We watch the wild geese vanish southward. Red banners wave freely in the west wind. When shall we bind fast the Grey Dragon?